In 1974, I performed with the Blackearth Percussion Group at the NEXUS. The instructor in charge was, yes, Jim Petercsak. 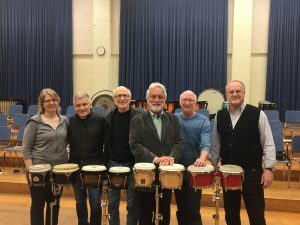 Professor Petercsak is a legend in the percussion world whose teaching has produced hundreds of fine musicians currently performing and teaching throughout the world. The NEXUS concert consisted of three pieces by Steve Reich and a set of ragtime xylophone and marimba music. This took place in Hosmer Hall in the Crane School of Music building, which has rich acoustics and ample seating for the large crowd that attended. Several dozen of the attendees were percussion majors who played for us the next morning. The master class was wonderful and reinforced my appreciation for what teachers like Mr. Petercsak have accomplished through the years. The level of student playing is so far ahead of what it was back in the ‘50s and ‘60s when I was studying music. It’s comforting to know that every year many music students join the workforce and continue a rich tradition of performance and education. 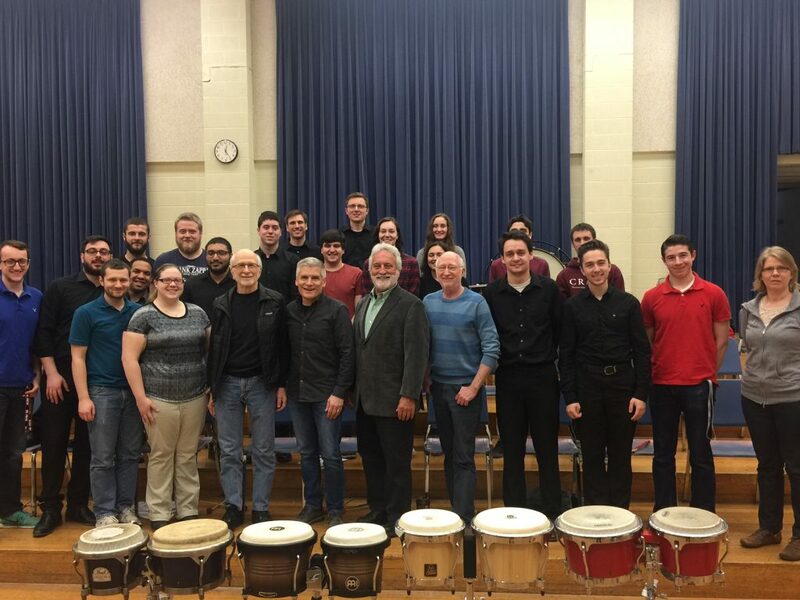 One of the NEXUS members, Bill Cahn, was unable to make the concert so we were honored to have Michael Burritt of the Eastman School of Music join us. We were also privileged to have Luca Esposito, a third-year percussion major, lay down a solid pulse for us in Steve Reich’s Music for Pieces of Wood. I look forward to playing there again in 2060.